On Saturday 23rd June 2018 volunteers will have the opportunity to cycle a coastal route to raise awareness for Vispa School and Orphanage. If you would like to download the poster, click here. 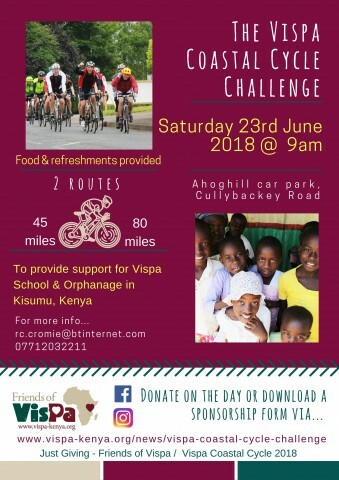 To join in this annual cycle challenge, please register your interest by emailing rc.cromie@btinternet.com. Cyclists will meet at Ahoghill car park, located behind Coaching 4 Christ, at 9am. You can register on the day or download a registration form by clicking here. For the 45 mile route – click here for the map and here for the route details. If you would like to see the shorter strava route click here. For the 80 mile route – click here for the map and here for the route details. If you would like to see the longer strava route click here. 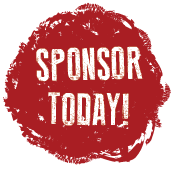 You can donate on the day, or via the Just Giving page- Vispa Coastal Cycle 2018 or by downloading a sponsorship form. If you would like to donate via Just Giving, click here.